ion.Fixed audio clock sync sound bug that can happen when running a monitor FPS that is less than the emulated FPS. Great. These new functions, like jumping on a button instead of steering up, are superb when user play with a gamepad. HOXS is getting better and better!!! 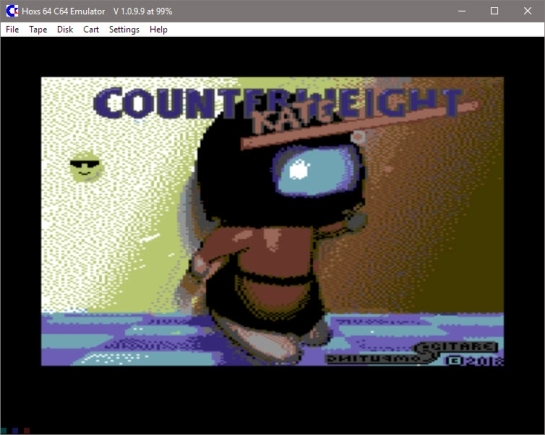 My favorite C64-emulator because it works flawlessly under 50Hz-fullscreen resolution while VICE has a soundbug with 50Hz, which means either you have perfect scrolling or you have perfect sound in VICE and not both at the same time. That`s the big disadvantage of VICE and therefore i like HOXS64 alot. Scrolls perfect, sounds perfect and has a good smoothing-graphicfilter.